I had to plagiarize just this once by stealing a meme, since this one describes me so well. I’m not bipolar, but some days it sure feels like my Muse is! 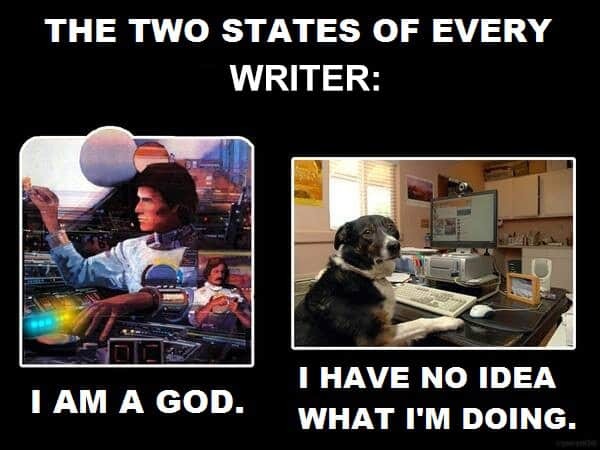 The two states of every writer.